From preparation to realization of your stay you’ll benefit from the professional counseling, assistance and availability of our team. Our counseling team will help you concretize your project, and will send you a personalized pricing, within 8 days after your request. You will get a detailed programme and quotation. Your project is important. To assure its success, it is important to inform and motivate the participants with the pedagogical interests of the project. SILC helps you all the way during the project and can help you in the preparation of the selling material for your clients. 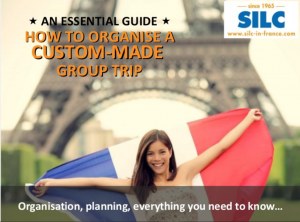 As soon as you have approved the project, you should contact your SILC representative in order to confirm and secure your booking. You will receive the confirmation in return. At least 2 months before the arrival date, we should receive the full list of participants and leaders. We will therefore send you the pedagogical details of the programme and help you send back the “invitation letter” to obtain your visa (when visa is needed). Traveling hours are established in order to optimize your stay and it is therefore very important to respect them and inform your SILC local coordinator of any unexpected delay. Your SILC local coordinator or one of its representatives, and the host families will meet your group at the meeting point indicated in the programme. The programme timing is established with the local coordinator to optimize your trip. A copy is also given to the host families. It is therefore important to respect this timing and inform them of any delay during the stay. Meeting point is the same every day for departure and return of excursions if not specified otherwise. The SILC local coordinator remains your main interlocutor. He/she is available on site in case of any need. Added to this service, in case of emergency, our team is also available on a SILC hotline 24/7. Upon your return, you should return the evaluation form as your satisfaction is important to us and your comments shall help us improve our programmes and service.